The North Sydney Leagues Cricket Club has a rich history dating back to 1966 when the Club was formed and commenced playing in the NSCA. The Club enjoys playing hard, competitive cricket at all levels and enjoys an active involvement of members with a variety of social events. The Club prides itself on appealing to a broad range of players, with enough teams to cater for the strictly social player right through to the competitive A grade standard turf player. Once a Bear, always a Bear. We take care of our own and provide an environment where all players get to know each other - a real 'Club'. Plenty of beers and stories are shared at the Leagues after a hard game. The Club had success across a number of grades with several players receiving NSCA and SMCA awards in addition to annual premierships including most recently in 2016-2017 NSCA D Grade and 2017 winter SMCA 8th Division. Visit our website or Facebook page for all information on playing, training and social events as we are always keen to have new players join our friendly club. 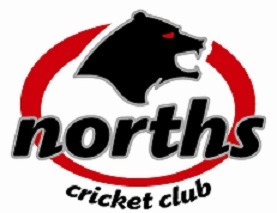 We are proudly sponsored by Norths - previously North Sydney Leagues Club.